brandflakesforbreakfast: youuuuu, you got what we need Lucky Charms! youuuuu, you got what we need Lucky Charms! 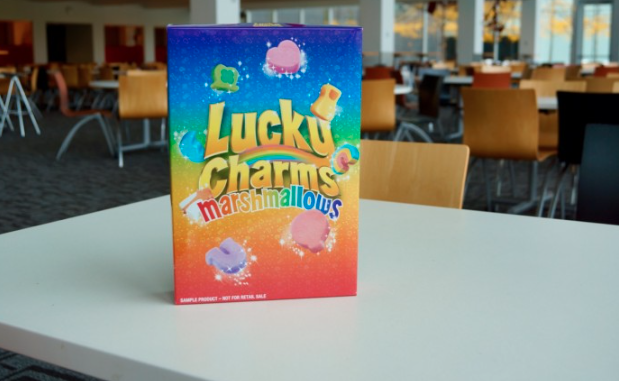 This is big, huge news - Lucky Charms is offering a MARSHMALLOW ONLY version of their popular cereal. WHAT?!??!? But here's the catch - there's only 10 in the world! The brand is giving away these deliciously coveted boxes of goodness to winners of their sweepstakes where consumers are asked to post a photo of themselves pretending to hold the prize. Post your photo to #Lucky10Sweepstakes between 10/14 and 10/18 and you might be a LUCKY winner (see what we did there?). And who better to tell consumers about this genius idea but Biz Markie! ?